A low fat, a fail-safe pasta dish that will prove that it's just as easy to whip up a meal as it is to turn on the microwave. 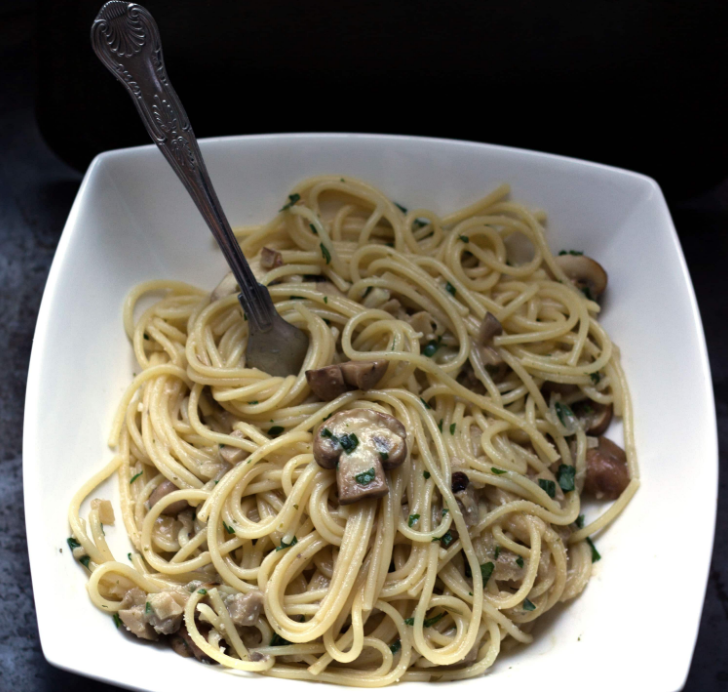 This recipe for Mushroom Spaghetti is perfect for warm days when you don’t want to take a lot of time to cook & heat up the kitchen. Melt margarine in large non-stick skillet over medium-high heat and add mushrooms, onion, and garlic. Sauté until onions are tender. Stir in remaining ingredients except for spaghetti. Cover and simmer over low heat 2 hours, stirring occasionally. If sauce appears too thick, add additional water. Cook spaghetti according to package directions, omitting salt and drain.